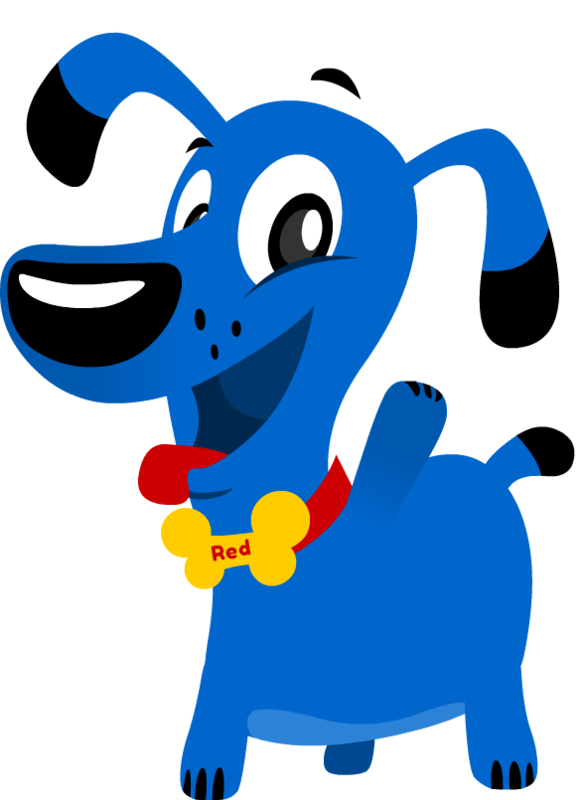 I love being part of the Blue Wheelers family and I look forward to meeting lots on new people and their dogs in the Dianella area. My number 1 tip for any dog owner would be regular washing and grooming, as this will go a long way to ensure your best friend is always in their healthiest condition. 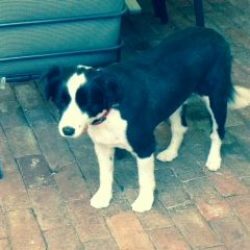 If you live in the Dianella area and you would like to book me to have your dog washed, clipped or groomed please fill out the booking form. 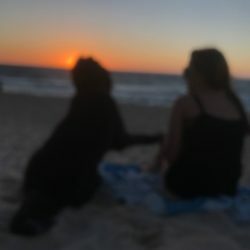 I will be more than happy to provide these services and you too can experience how happy and healthy your dog will be. I love all dogs, but Huskies are a breed that undoubtedly grabs my attention. Their steely, piercing eyes are extremely expressive and they can look straight through you. Huskies use these eyes to communicate with you as well as howling as if they are trying talk. They are very strong both in their temperament and their physique, are also very intelligent but sometimes also strong willed. Huskies are friendly and well natured and want to make everyone a friend and once you have made this bond a Huskie will be forever loyal. 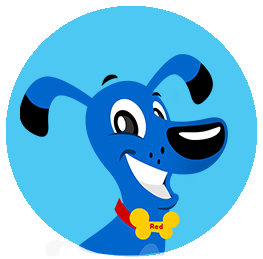 My favourite thing about becoming a Blue Wheeler is the satisfaction I gain from improving your pets lifestyle by supplying first rate dog washing and grooming services. After joining Blue Wheelers I got the opportunity to meet a variety of new people and of course their pets. I really had no idea that there were so many breeds of dogs prior to joining the Blue Wheeler family. I feel that one of the most interesting aspects of being a pet groomer is that the majority of breeds act and behave differently; therefore the way we as groomers treat individual pets must also vary to suit the pet’s personality. Once we have an understanding of the pet we can forge a relationship of friendship and trust that is only shared by the owner. 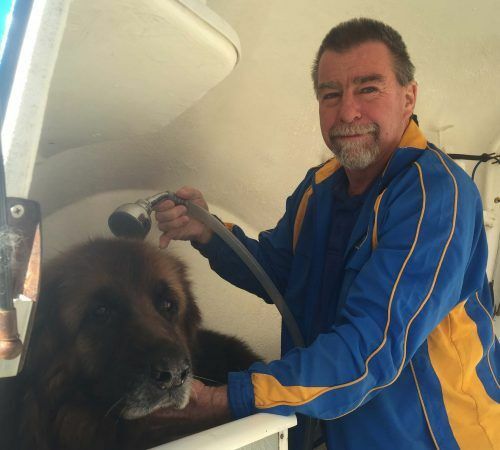 Over the past 6 years my local Blue Wheelers Operator has been washing and grooming my dog (Jessie -16 yrs old). At the conclusion of each visit she has a renewed energy and an extremely happy disposition, as well as looking and smelling great. 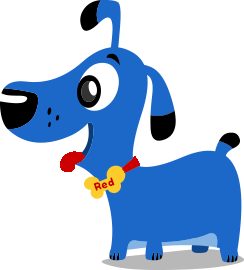 Recently I decided that I wanted to bring this sense of fulfilment to other pets and their owners and joined to the Blue Wheelers family. My previous career as a business owner and manager has taught me the importance of meeting or exceeding customer expectations when it comes to service and quality. I will strive to ensure both you and your pets receive the highest level of service you deserve. Thanks , Jeff will be in touch with you soon! Jeff is just wonderful with our dog Bandit. 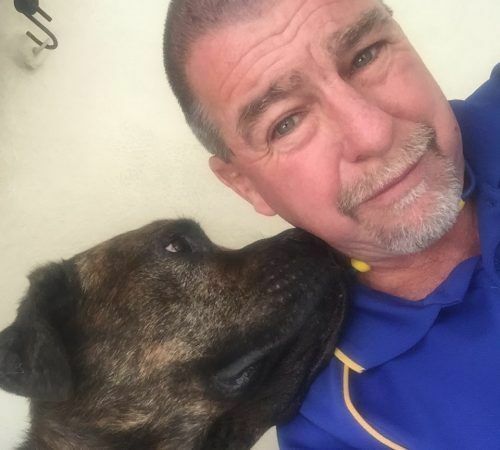 Jeff is kind, patient and extremely gentle with Bandit, who has a heart condition and cannot be put under any kind of stress. Bandit loves Jeff and is so happy to see him when he arrives to give him his fortnightly bath. We are so happy that we found Jeff to bath and groom Bandit and would recommend him to anyone who needs a groomer, especially if you have an elderly or sick dog as you will not find anyone else kinder or more gentle with your dog. Thanks Jeff you are fantastic. Jeff is amazing. He always texts a few days before to confirm the appointment, is punctual, friendly and Leela loves him. After years of hating being washed or having a haircut she is now happy to see Jeff. Also, convenience of not having to leave the house is the icing on the cake. I can't recommend Jeff enough! Jeff has been grooming my boy Tighe for 3 years and he has always been reliable and done a great job. But more importantly he is kind and patient with Tighe who is a very large old dog suffering with a few ailments. I have no hesitation in recommending Jeff. Jeff attends very kindly to Jemma, my geriatric (nearly 17 years old) poodle with great care and tenderness. Old dogs come with their challenges - lumps and bumps, wobbly legs, sore bits. Once I called Jeff in an emergency after Jemma had had a dramatic toileting accident. He came as soon as he could (in an hour) and cleaned her up! 10 out of 10 for an effort like that. If you are looking for someone to trust with your precious pet you couldn't beat Jeff. Thanks Jeff, I'll miss you when she's gone. We can't be more pleased with Jeff's dog grooming services and Im sure our dog, Rocky, agrees! Jeff is very fiendly, professional, reliable and gets the job done! Thanks Jeff! We've been using Blue Wheelers for around 10 years now and Jeff for around 4. Jeff is an absolute legend and is always up for a chat about the footy. However I must deduct a point for his choice of footy teams. 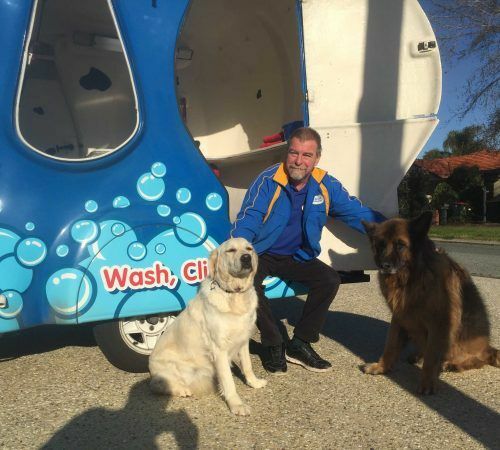 A Tigers man washing dogs - oh the irony ! I highly recommend Jeff and Blue Wheelers. Thanks mate. Our Labrador, Nisha can hardly contain her excitement when Jeff pulls into the driveway. Nisha loves her baths, and Jeff does a great job getting Nisha clean. Jeff is friendly, professional and takes pride in his work. 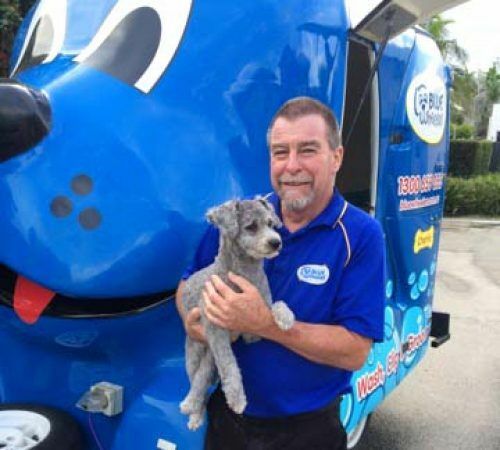 I would definitely recommend getting your dog washed by Jeff.